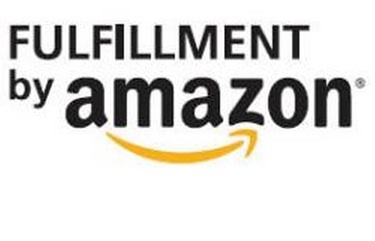 I refer to Fulfillment by Amazon (FBA) a lot, because it is my number one outlet for reselling in the pursuit of points. Chatting with a friend, I realized that I’ve never actually put together anything basic about how to get started with FBA. Here is my attempt at that. The first place you want to start (and probably bookmark) is Amazon Seller Central. From there you can register for a new account, but Amazon helpfully offers some considerations, such as identifying what you want to sell, and determining how much you want to sell per month. It’s important to note the “Conditions allowed” area. This one has tripped me up a few times, as BigHabitat has noted is the case with Samsung Tablets. Generally speaking, you want to sell as “New,” that gives greater chances of being able to make a profit, or at least, stem the losses. I’ll have another post on getting that approval– what Amazon calls “ungating” in a couple of days. 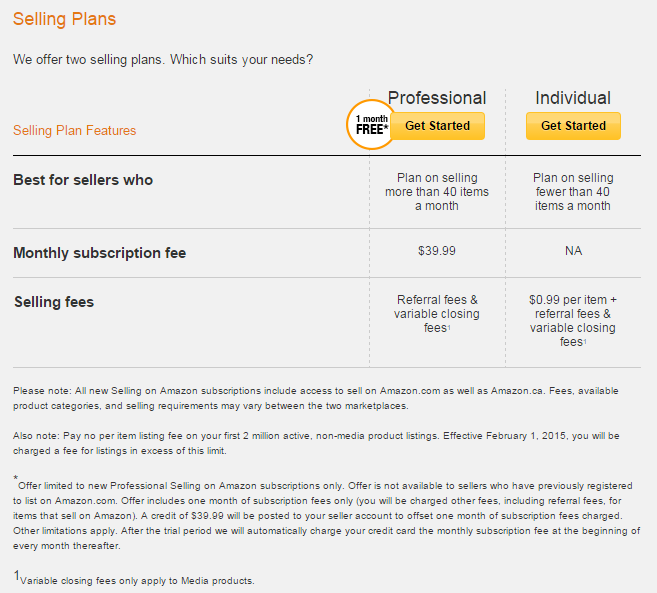 I will also note that, Amazon has two categories of Selling Plans, Individual, and Professional. 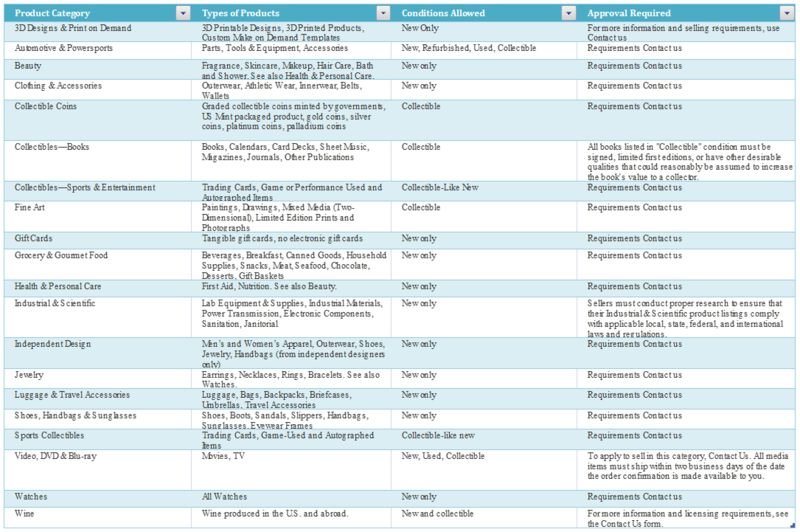 In order to gain access to the additional 15 items in the list directly above, you need to be a Professional Seller, which carriers a monthly cost of $39.99. I’ll caveat this with – I’ve always had the Professional Selling Plan. 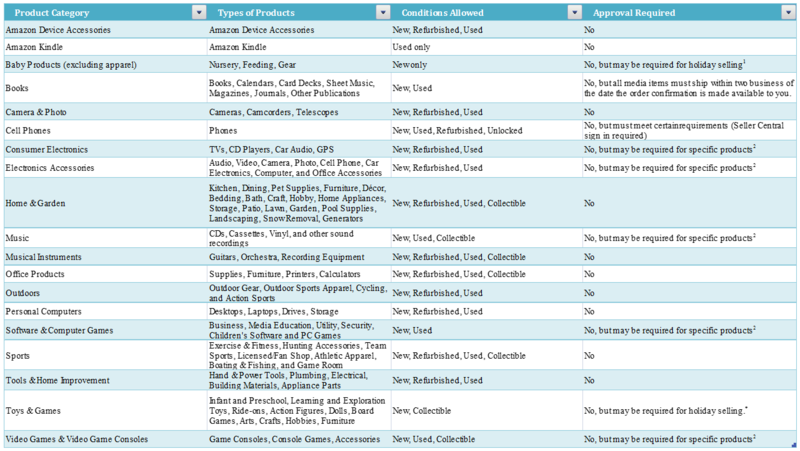 Ok, now that we’ve cleared the parameters of an Amazon Seller Account, the process for setting one up is fairly simple. From that link I gave you earlier (and here it is again), click “Register Now”, then click “Sell as Professional”, there you’ll have the chance to enter your e-mail address, and you can register a new account. Note – if you use your e-mail address linked to your Amazon Account, sometimes you get better benefits; I haven’t actually verified it, but I tend to get many of the benefits that Amazon Prime gets. From there you’ll provide some biographical details, then the real fun starts! You get to enter your business’s legal name, or, if you don’t have one, just enter your name. You’ll run through some more steps, providing more information, such as the Display Name (this is your chance to be creative! Don’t worry, you can change it later), as well as entering your address, and some option stuff, like main product category, number of products you plan to sell, and if you own any brands. Then you’ll enter your credit card information and confirm the billing address — this is so Amazon can charge you the $39.99; after you start selling though, that fee will just come out of your account before they send you the money (twice a month is the automated way). Then you’ll need to do a phone verification, you can either call, or have it texted to you. This is how Amazon confirms you’re not a robot. After that is the Tax Interview! Fun stuff! Ok, not so fun but necessary if you plan to do a bunch. My first year, I didn’t get any tax docs, but I was under $20,000, last year, I was well over that and did. Still, its a necessary step. It says you can skip, but, it kept giving me the run around, so you’ll need to do it. This will require either a Social Security Number, Tax Identification Number, or Employer Identification Number. Once you finish your tax interview, its smooth sailing from there! Celebrate, pop the Krug–or maybe just the Korbel, since you haven’t really sold anything yet. Great recap. I am just getting into this and it seems so complicated. Looking forward to your next posts. Thanks! More to come! If you have particular questions, don’t hesitate to share them, so I can treat them in future posts. Congrats on the new site btw! Anyone know if it is possible to sign up with Individual account first, and then upgrade to Professional at a later date? @Ben – Thanks for your comment! I see no reason why you couldn’t sign up with an Individual Account, and then later upgrade to a Professional Seller Account later. Remember, Amazon wants to get you in as a seller. They have no reason to hamstring you at the Individual seller account, if you really want to be a Professional Seller. Any closing cost difference between Individual vs Professional? (i.e. you get charged less if you sign up for Professional)? @Vinh – The Individual Seller incurs an additional $0.99 per item… So if you’re going to sell 40 or more items per month, you would be better to get the Professional.